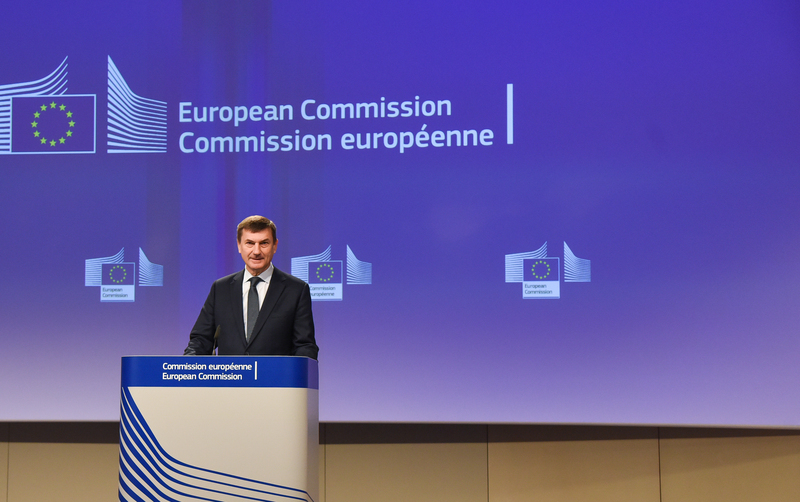 European Commission Vice-President Andrus Ansip is optimistic about the digital revolution. After visiting the Mobile World Congress in Barcelona this week (27 February-2 March), he still believes Europe is “in a good position” to lead the next generation of mobile broadband (5G). Andrus Ansip is Commission vice-president for the Digital Single Market. He was prime minister of Estonia between 2005-2014. 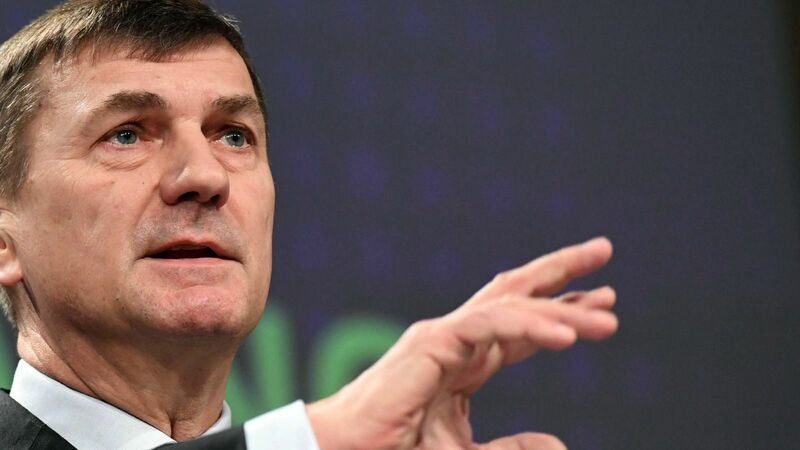 Ansip responded to a written interview with euractiv.com’s Jorge Valero. What is your assessment of the implementation of the 5G PPP? The Commission has been a very early supporter of 5G. We began supporting visionary research into 5G connectivity back in 2012. Today, under the Horizon 2020 programme, we are investing €675 million into the 5G Public-Private Partnership (PPP), which makes it the largest 5G R&D initiative in the world. Investment from private parties like industry, SMEs and research institutes is expected to reach €3.5 billion. At the World Mobile Congress in Barcelona, the PPP outlined its roadmap to carry out extensive 5G trials this year across different industry sectors, such as automotive, media, healthcare and energy. This was one of the initiatives foreseen in our 5G Action Plan presented in September 2016 to ensure that 5G deployment in the EU is fast and comprehensive. Do you still see Europe in a good position to lead the race? Yes, we are. For this to happen we need vision, speed and cooperation. Our goal is to set up 5G technology in the EU by 2020 and have full deployment along transport paths by 2025. Our 5G Action Plan, and more broadly our proposals to reform EU telecoms rules, will create the right conditions for a competitive market that promotes innovation and stimulate investment in high-capacity networks. The 5G plan is where Europe can make a real difference, for example as part of our wider policy goal of digitising European industry. Europe needs a large home market for 5G products and services – right from the start. When 4G was introduced, Europe was too slow in pushing ahead. We do not want to make the same mistake with 5G. For that, I cannot stress enough the importance of also having EU-wide coordination of the spectrum use. You recently published your communication on the free flow of data. The Commission said it will assess member states’ “digital border controls” and launch infringement procedures if needed. Do you see some countries in the danger zone? Germany and France? We are currently assessing the free movement of data within the EU with the member states and other stakeholders to analyse justifications for data localisation restrictions and their proportionality. The Commission had its first dialogue with the member states on 23 February. We discussed the issues and needs of member states and the conditions to allow the free movement of data within the EU. It was a good start. One of the topics for discussion at the next dialogue is the applicability of existing EU law and the possible need for enforcement action. Following these exchanges and further evidence gathering, the Commission will – where needed and if appropriate – launch infringement proceedings to address unjustified or disproportionate data localisation measures. A key element of the digital revolution is AI and robotics. Recently the European Parliament adopted the first report on robots. The plenary did not support the committee’s proposal for a robot tax and a universal basic income. Are you in favour? No, I do not think it would be wise to impose additional taxes on robots. Robotics and artificial intelligence are essential to Europe’s competitiveness. They also improve the daily life of people, at home and at work, helping with repetitive or dangerous tasks. In the European Commission, we have long recognised the importance and potential of robotics and artificial intelligence and the need for significant investment in research and innovation. 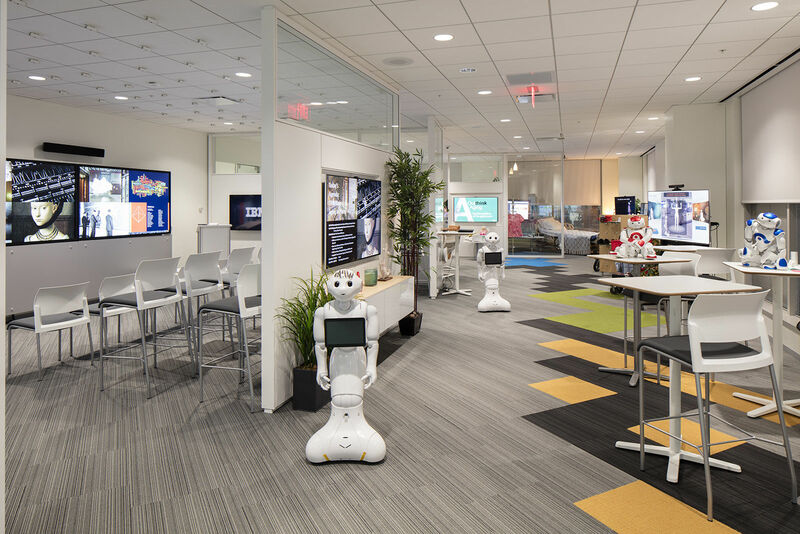 We have set up an ambitious Public-Private Partnership for Robotics in Europe – SPARC. Many people are concerned about robots replacing workers in doing some tasks. But new technologies also have the potential to keep and bring factories back in Europe and to create new jobs which did not exist before. Our main challenge is to make sure Europeans have the right skills for these new jobs and to make the most of the digital transformation. Following the release of the White Paper next month, the Commission will publish five ‘reflection papers’ on different issues to forge a vision for the future of Europe. Despite the importance of the DSM in the first half of this term, none of these five reflection papers refers to the DSM. Is it because it is ‘mission accomplished’ or have the priorities shifted? Digital is in every scenario presented in the White Paper. It is part of the future of Europe. At the same time, we continue our work to create a Digital Single Market. It remains a top priority and it is not yet mission accomplished I am afraid. We have made significant progress: all major initiatives included in our strategy are now on the table and we have reached important agreements on roaming, spectrum and the portability of online content. We now rely on the European Parliament and member states to adopt all the other proposals as soon as possible and make the Digital Single Market a reality. What else is expected for this year? In May our mid-term review of the Digital Single Market will assess where we stand so far and suggest ideas for the future. For example, we need to follow up on our fact-finding exercise on business-to-business practices on online platforms and on initiatives to ensure the free flow of data. At the same time, the review should address the continuing work to strengthen cyber security, develop eHealth, reduce the digital divide by promoting skills and encourage more use of e-services in public administration – to name just a few. 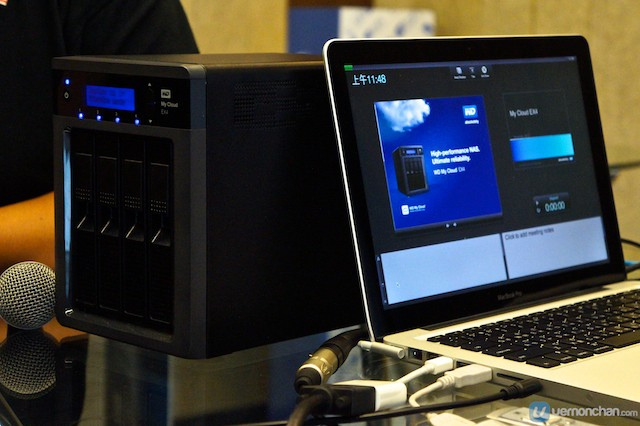 Cloud will be the bedrock of the new digital world. Is Europe well equipped or does national fragmentation hamper its development? Fragmentation is a major challenge for virtually all areas of the Digital Single Market. To address this issue in the context of the Cloud, we have proposed the development of a European Open Science Cloud for storing, sharing and reusing scientific data. This will be a data infrastructure supported by supercomputing capacity. It will offer cutting-edge cloud-based services for all researchers across Europe and will later gradually be broadened to include services for SMEs and other businesses. EU institutions are getting ready to move data to cloud services as part of the first broad, European Commission-backed push for government cloud computing. Our overall goal is to foster a trustworthy single market for cloud services. We need to make sure that, for example, data localisation restrictions do not act as barriers in the Digital Single Market or stifle innovation. We are already working with industry and standards organisations to identify what needs to be done to support data portability and the switching of cloud service providers. The digital world is by nature borderless, and many issues require global cooperation. Trump had a disruptive impact on international finance with his statements. Are you concerned about a negative impact also on digital cooperation, since he may put American interests first? International cooperation is indeed vital in the digital world, and the digital economy and society are domains where transatlantic cooperation brings added value to both EU and US economic and security interests. For example, I welcome the achievements that the EU and the US have accomplished for the protection of personal data both in the commercial and in the law enforcement areas, with the Privacy Shield and the Umbrella Agreement. 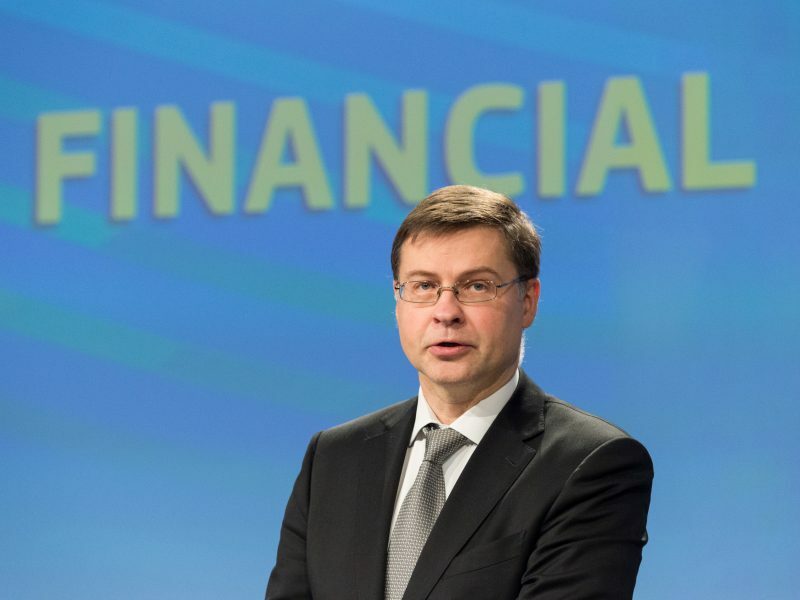 European Commission Vice-President Valdis Dombrovskis is wary of US moves to deregulate the banking sector, saying the main lesson from the 2008 financial crisis is that international finance needs international rules. But he was positive about Greece’s fiscal adjustment and called on Athens and its lenders to give a “final push” to break the stalemate on the country’s bailout programme. The Privacy Shield instruments greatly benefit businesses on both sides of the Atlantic. And I am encouraged by first reports from the new Secretary of Commerce Wilbur Ross that he understands the need to build on years of common hard work. At the Mobile World Congress, I also met the Chairman of the United States Federal Communications Commission Ajit Pai. We agreed on the need to continue the good cooperation. I will be in the US at the end of next week and I look forward to discussing these issues with my US counterparts.